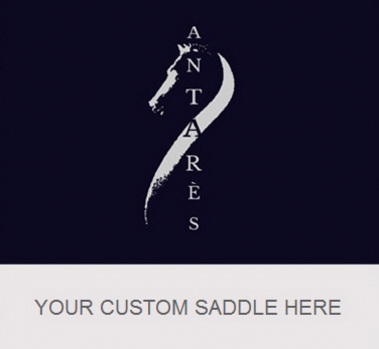 ** ON TRIAL AT THE LRK3DE ** To be added to the WAITING LIST for this saddle, please email info@FrenchUsedSaddles.com with the saddle serial number "#CWD15 40199" in the subject line. Thank you! 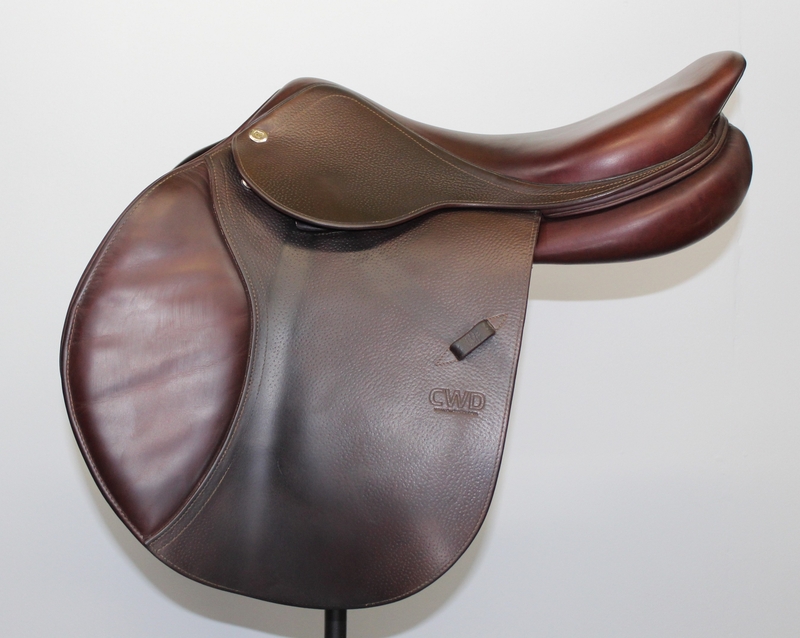 2015 CWD jumping saddle in VERY GOOD condition. 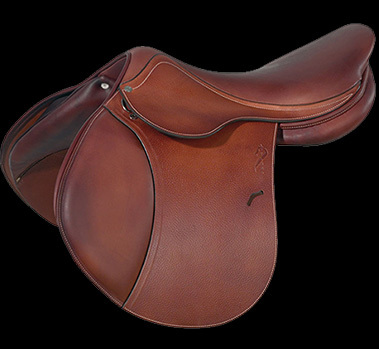 Dark brown, grain leather flaps with calfskin seat and knee rolls. Great size for a rider with longer legs! 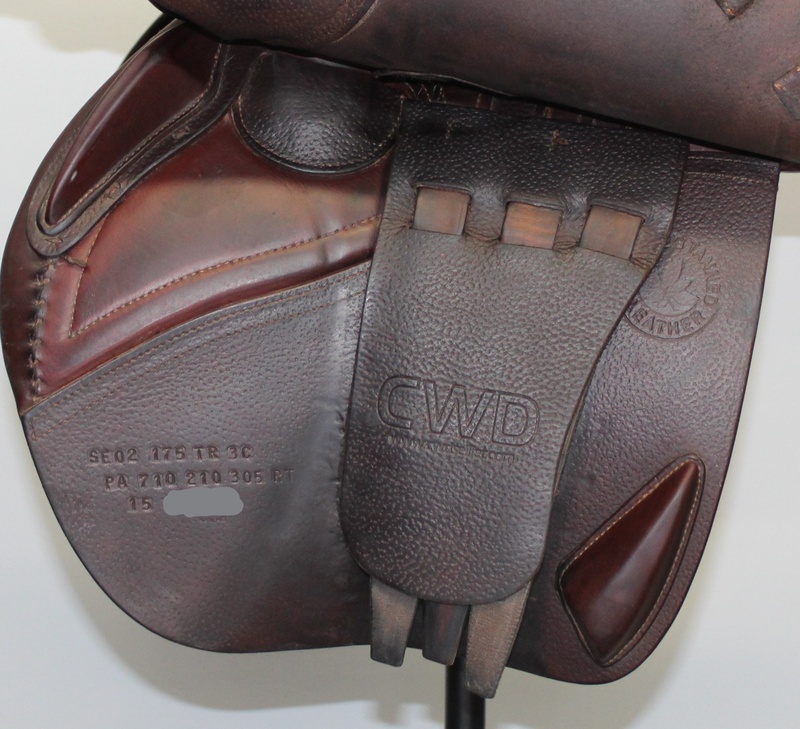 Deeper secure seat of the range of CWD models. Shows some stirrup wear on the flaps which is average for the age. 17.5" SE02 seat (deeper than SE01 and SE03) measures true-to-size. Flap 3C measures 14.5" from the top of the stirrup bar to the bottom of the flap. Flap width measures 14.5" across at its widest point. Tree measures 4" from dot-to-dot under the pommel. Medium tree. Integrated panels for close contact feeling.